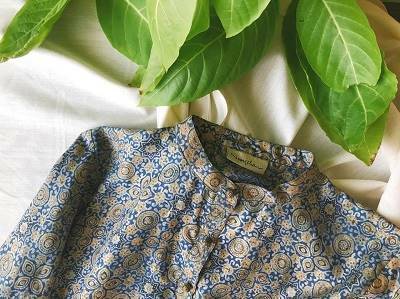 The Ajrak, a traditional textile, dates back to the days of the Indus Valley Civilization. In the villages of Sindh, Ajrak goes through 21 stages in the making. 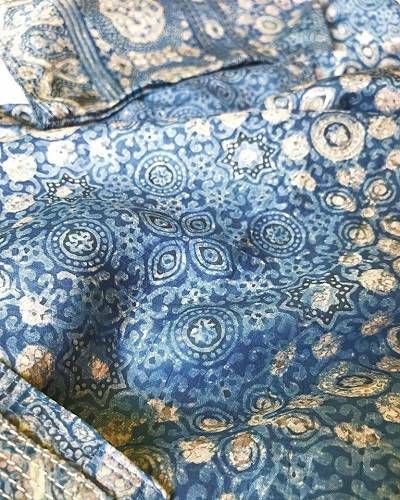 The unbleached cloth is dipped in the river, baked in the sun, block-printed by hand. The Ajrak is a treasured textile, a symbol of identity. 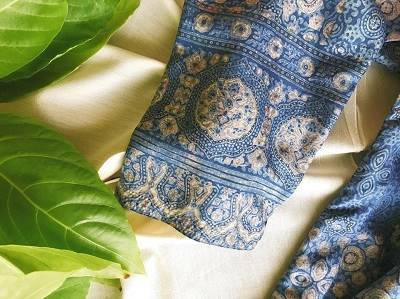 While chemical dyes and screen-printing have been adopted in recent times, Koel’s Ajrak is still hand-blocked by artisans, and dyed with the precious natural indigo and madder. Other natural dyes have also been sourced to create a wide range of earthy fabrics in cotton and silk. 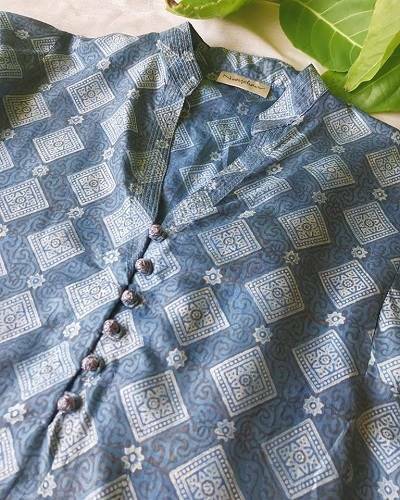 Ajrak tunics are available in both silk and cotton.